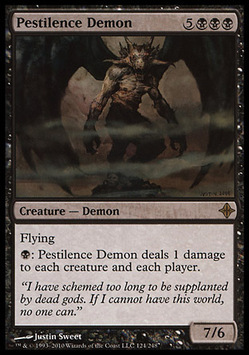 : Pestilence Demon deals 1 damage to each creature and each player. "I have schemed too long to be supplanted by dead gods. If I cannot have this world, no one can."